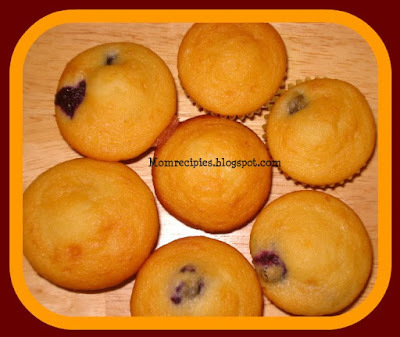 These bite-size Blueberry muffins are my daughters favorite one.These are Perfect for snacks , Lunch boxes and Picnics.These muffins came out very delicious ,light ,moist and fluffy bursting with fresh blueberries.These are hit in our family. 2) In a large bowl whisk together the yogurt, vanilla extract,lightly beaten egg and oil. 3) In another bowl whisk together all dry ingredients the all purpose flour, salt, sugar, baking powder and baking soda. 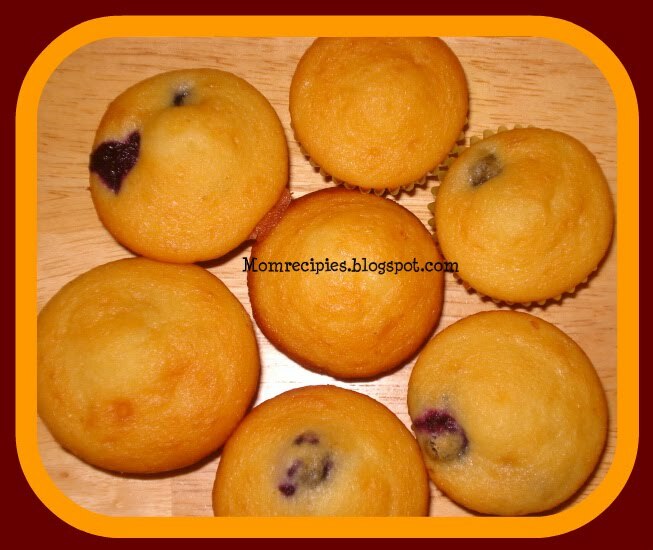 4) Take a tablespoon of the dry ingredients and toss it with the blueberries.If using frozen blueberries, do not thaw before adding them to the batter. 5) Add wet ingredients into the dry ingredients and stir only until the ingredients are combined. Gently stir in the blueberries. 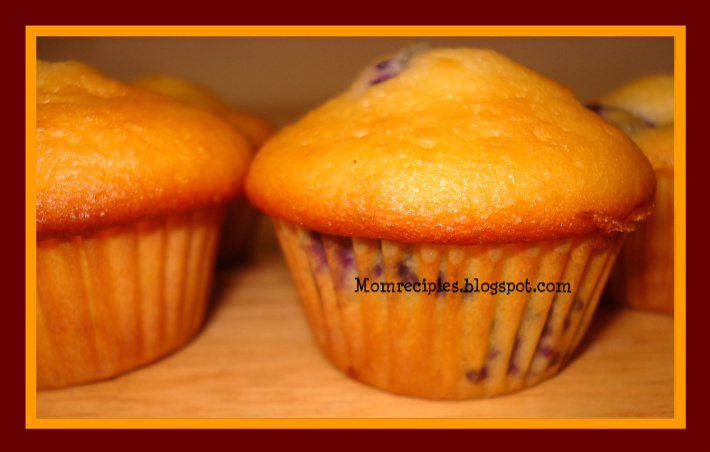 Do not over mix the batter or tough muffins will result. 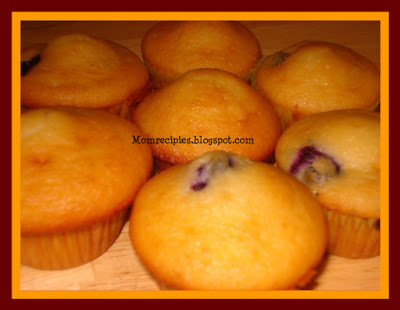 6) Fill the muffin cups with the batter, using two spoons or an ice cream scoop or 3/4 of a cup. 7) Place in the oven and bake for about 15 minutes or until a toothpick inserted in the center of a muffin comes out clean at 375 degrees F.
8) Transfer to a wire rack and let it cool for about 5 minutes before removing from pan.